If you have a garden, you have probably seen bees flying around the flowers. Bees fly from flower to flower and collect nectar and pollen to feed themselves and the larvae. By visiting many flowers, they play a significant role in pollination of many fruits, vegetables, and flowers. Since recently the bee population is dropping, and we should help them out, after all, they have been providing our food for centuries. Everyone can do something to help these little workers; you can start by inviting them to your garden by providing a home for them. Maybe you are not sure which bee house to pick, but don’t worry - we made a list of some quality beehives that could be your starting point. Note that this list is not in any particular order. 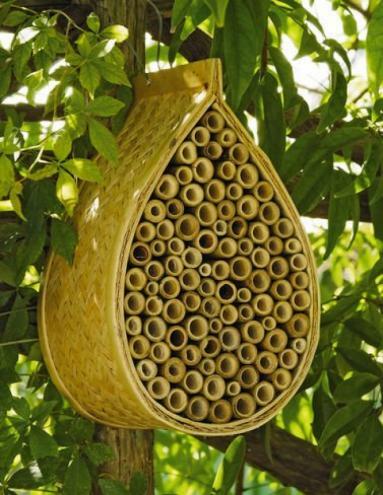 The Wildlife World solitary beehive is a beautifully made habitat for non-swarming bees. The hive is constructed from durable FSC certified timber with extractable cell trays that make the inspection and cleaning very easy! Such easy extraction of trays is possible because they are held together with screws instead of nails. The big roof with metal covered peak prevents the rain from leaking inside. A beehive with such simple design is easy to take care of and can provide an excellent learning material. Extractable trays enable easy access to cells where the eggs are laid or to see if predators have been active. Solitary bees are naturally attracted to holes in the wood so this beehive would be a wonderful home for them. You don’t have to be afraid of their company; they are safe around children and pets. Attracting solitary bees can be beneficial for your garden increasing the yield of flowers, fruit, and vegetables. 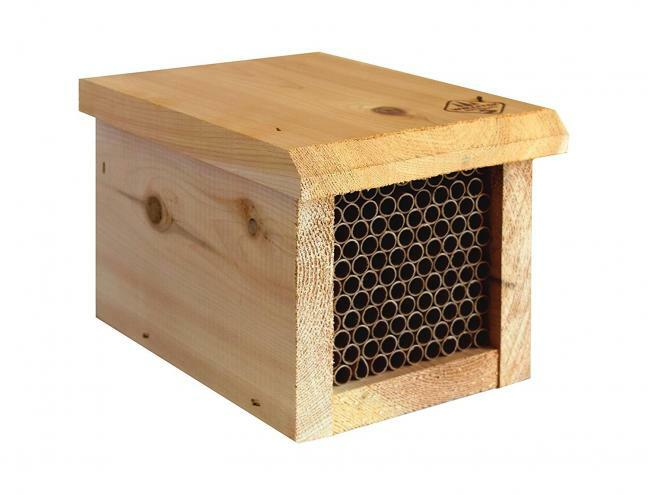 Welliver outdoors standard mason bee house is a simple solution to attract mason bees to your garden and increase pollination. The design is very simple and easy to maintain. The wooden frame is filled with removable paper tubes which make the cleaning and inspection easy and quick. The female bees lay eggs in tubes from March to August and in spring adult bees emerge. The tubes should be exchanged after 1 or 2 seasons to prevent mite infestations in the colony. Mason bees are one of the most efficient pollinators and welcoming them to your garden can really upgrade it. Your beautiful flowers, fruits, and vegetables will flourish with the help of these hardworking bees. All you need to do is set a home for them. Mason bee house for solitary bees shows an incredible craftsmanship with sleek and subtle design, which can be an excellent addition to any garden. One of the most amazing things about this bee house is the plexiglass observation door. Through them, you can observe the wonders of native bee nests without disturbing them. As a bonus, you get quality wildflower seeds that can provide food for the bees. The bee house comes with easy to follow guide with tips on where to put the bee house, habitat formation, and some fun facts about native bees. 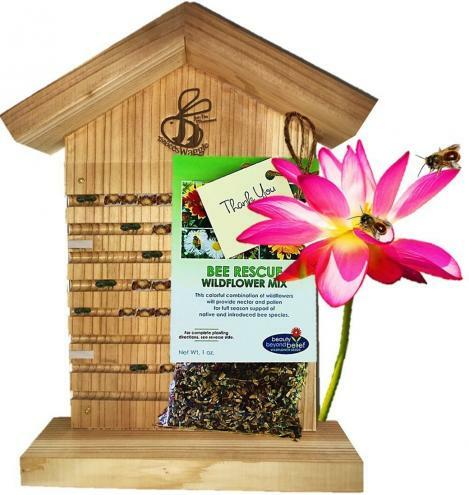 This bee house can be a fantastic gift for your loved ones and anyone interested in learning more about fascinating pollinators. This beautiful mason bee house can boost your garden’s productivity and provide a happy home for peaceful mason bees. It is always fun to watch them going in and out of their house. The house is made of natural bamboo, and outside it usually lasts two years. It is provided with a hook that enables easy hanging against a tree or wall where it will get morning sun and attract Mason bees. Female bees fill the tubes with their eggs and bring in nectar and pollen as food for larvae. Hang your bee house and wait for bees to move into their new home. Mason bees are essential pollinators, more efficient than honey bees, so your plants will benefit greatly from having them around. 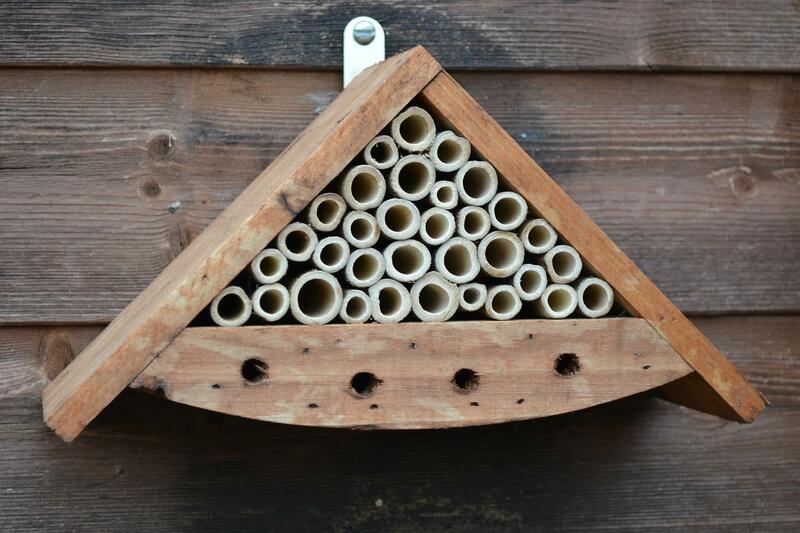 Solitary mason bee house is made of recycled styrene 5’’ long. The pattern of broken color on the exterior attracts the bees so they can start making their nest. 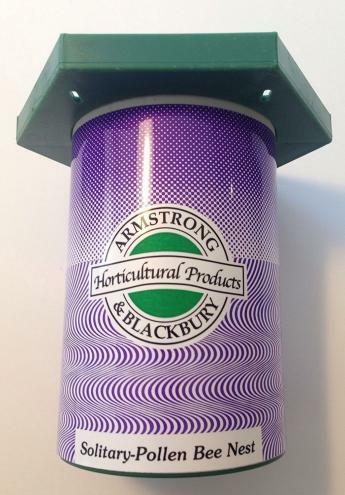 The inside is filled with 20 tubes of various sizes to accommodate different native bee species. The space between the tubes is filled with porous volcanic rock which provides insulation against heat and cold, and absorbs moisture preventing fungus growth. Because of the insulation, the house can stay outside whole winter without harm to larvae. Birds or rodents might attack the bee’s nest, but the nest is well protected with plastic shield on the front and back. The material used to make the house is durable and reusable for several seasons. Once all bees emerge clean out the tubes, and the bee house is ready for next season. The house is easy to set up, and the bees will love it! Every garden needs pollinators and bees are some of the best pollinators. You can make your garden flourish by attracting more bees. A simple way to attract them is to set up homes for them. 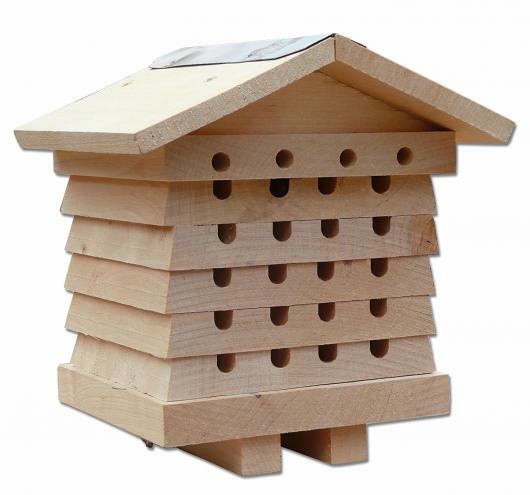 The listed bee houses are very easy to setup and maintain, and their sleek design can be fit to any garden. Bees attracted to bee houses are solitary bees which are perfectly safe to have around your children and pets. The presence of the bees can be therapeutic; their buzzing can be very calming. Bees pollinate your plants AND make your garden a wonderful place to be in; you might want to spend more time outside and hanging out with the bees. Bees are our buddies, and their presence makes the world a beautiful place.